What a rare find! 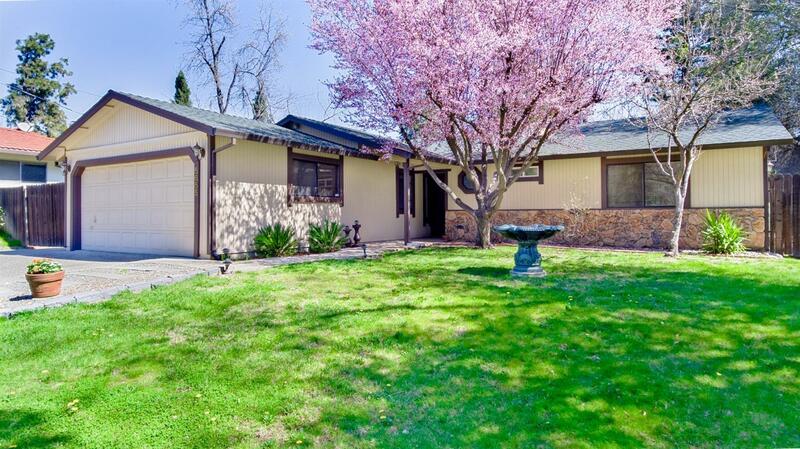 A super clean single story home on a large lot in beautiful Rocklin. Nestled amongst the trees in a serene, park-like setting, this one is a must see! With just over a quarter acre there is plenty of room for everyone. RV access and thoughtfully landscaped, yards front and back, make this a perfect place to call your own! You will feel like you are in the country yet you are minutes away from the freeway, schools, shopping and parks. Newer exterior paint make the home shine! There is also a brand new heating and cooling system complete with new duct-work to put your mind at ease. This well-laid-out floor plan offers a great room concept with a lovely hearth to keep you cozy in the winter months, three bedrooms with generous closets and two full bathrooms. The master bathroom has been tastefully remodeled and the new interior paint and personal touches make this home feel warm and inviting! This home has been loved and you can tell the moment you walk in!